Duvets can easily slip off but in a sleeping bag babies and small children stay comfortably warm and snug. Yet they are not restricted in their natural urge to move and wriggle. 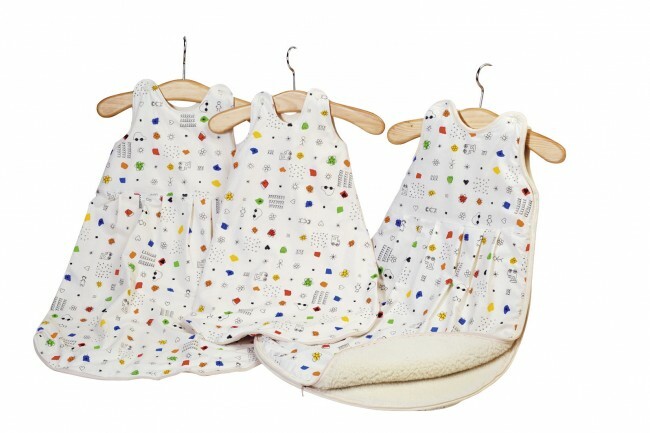 With a zip along the side, the sleeping bag can quickly be transformed into a blanket, ideal for changing nappies. Ecru certified organic cotton jersey with lamb tuft lining (100% pure new sheep’s wool). Ideal for the cold season.